Yogi Babu whose performance in Aandavan Kattalai was received with a positive response is busy shooting for his next film, Adangathey. When we spoke to Yogi Babu he quipped, "We are shooting in Kasi for the film. The hero is GV Prakash and the heroine is Surabhi. The film is based out of Kasi and this schedule consists of 18 days. I play the role of a mechanic in the film." Opening up about his other projects he said, "I'm a part of SathurangaVettai 2. I'm also a part of Trisha's Mohini in which I have a good role. It is a nice experience to shoot in London for the film." Talking about his dreams and aspirations he quoted, "Right now, I'm getting a couple of solid roles. 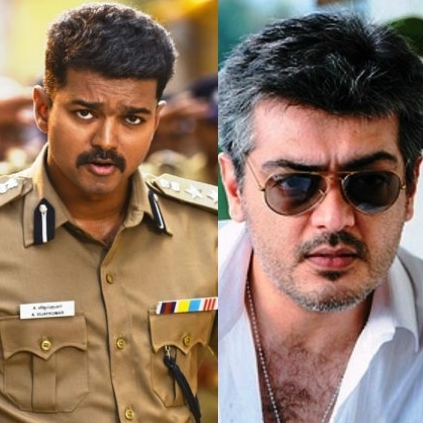 But I would love to do a full-fledged role in a Vijay and Ajith movie." Thala brings Europe to India! Surprising: Vijay Sethupathi and Nivin Pauly to team up? People looking for online information on Adangathey will find this news story useful.